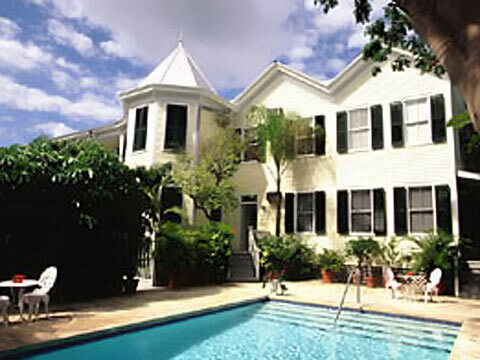 About Our Inn Key West, the southernmost point in the continental United States, is an oasis like no other. Set at the end of the Florida's archipelago, Key West's tropical landscape is dotted with stately frame residences, trimmed with scrolls of gingerbread. The island is a visual feast with the mÃ©lange of Bahamian, New England and Latin influences that characterize it's famed century-old architecture. La Pensione, a grand Classic Revival mansion, dates from Key West's Victorian Age. Built in 1891 as the private residence of Walter S. Lightbourn, the Vice-President of the Cortez Cigar Company, the elegant 2 1/2 story home on Rocky Road, (later Division Street and still later Truman Avenue), stands today as a tribute to the island's vast cigar making empire. Sun lovers will enjoy the peaceful seclusion of the inn's sparkling pool and lounge deck. Or when you're yearning for a little excitement, Key West's legendary Duval Street is just steps away. The inn's intricate and spacious gingerbread verandahs provide the perfect spot for taking in the fabulous Key West sunset. Hand-planed Dade County pine walls and shuttered French doors opening to the tropics distinguish the inn, which was honored in 1991 with a Rehabilitation Award from the Historic Florida Keys Foundation, after a meticulously restoration.